The first is if the NAS is from a company such as Netgear ReadyNAS and offers their own proprietary, built-in, server online backup pre-programmed into the server. These services then require you to have an account with their online backup division of the company. I think ReadyNAS actually uses ElephantDrive on the back end. 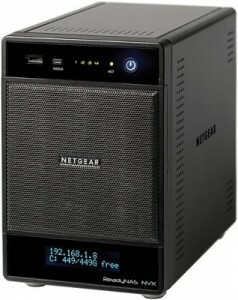 Netgear ReadyNAS is not the only company offering this, there seem to be more all the time. Personally, I am not necessarily advocating that approach – it may work OK but from what we have seen in our own testing that may not be optimal in functionality and pricing. Of course, if it does the job for you and you can afford the price then maybe that’s the solution for you. If you have an online backup service configured on a workstation or Windows server currently, you can backup your NAS simply by adding a share path backup, such as \\NAS\Backup (assuming your NAS is named “NAS” and your data is under a valid share named “Backup”). To add a network share to your backup set, though, requires you to be using a program that supports it; typically a business online backup service that supports share access to servers. One of the categories of comparison in our online backup comparison grid is the ability to backup a network drive. Several of the companies do offer that, the one I normally suggest to friends and clients is IDrive. You can see our full review of IDrive here. Filed under Server Online Backup.